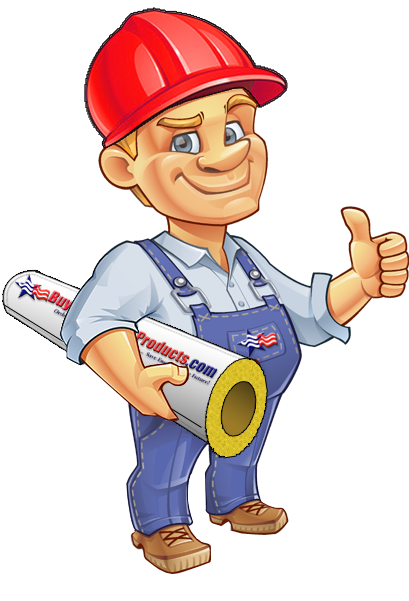 When dealing with asbestos pipe insulation there are two options; removal or encapsulation. Asbestos removal is done by professional contractors who are licensed and trained in safely removing and disposing of the hazardous material. If removal is not an option due to budget or other factors, the next step is to encapsulate the insulation. Encapsulation is creating an enclosure which prevents the fibers from escaping and entering the air. The most common way that asbestos fibers enter the air is by disturbing or hitting the insulation which breaks the deteriorating insulation apart. These actions can be concealed with the use of rewettable pipe lagging cloth wrapped around the pipe insulation. What is Rewettable Pipe Lagging? Rewettable Pipe Lagging is a canvas like product that is made of fiberglass woven thread that is embedded with an inorganic rewettable coating. The canvas can withstand extreme temperatures up to 1000F which makes it more than safe to wrap on steam pipes. Once installed over the asbestos piping, any hazardous fibers are unable to enter the atmosphere and are contained within the canvas. How Does Rewettable Pipe Lagging Work? When the canvas is dipped in water the rewettable coating becomes a plaster like paste that hardens into a cast like barrier that prevents any crumbing insulation from releasing fibers in to the air. If the canvas is hit or disturbed, the asbestos encased inside will not be released. Repairs: Crumbling and deteriorating insulation should be repaired prior to encapsulation with Fiberlock Wet Wrap 'N' Seal Asbestos Repair Rolls. Activation: The rewettable cloth coating is activated by water and hardens once dry to a cast like barrier. Spray Method: Spray both sides of Rewettable canvas with a spray bottle until completely wet. Coating: As a secondary barrier, coating Rewettable Canvas with Fiberlock Lag-Kote II Asbestos Encapsulant will provide an aesthetically superior finish.